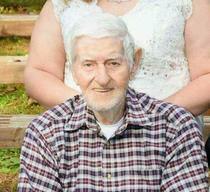 Obituary for JAMES A (BUBBY) DAVIS | Whitwell Memorial Funeral Home, Inc.
James A. Davis age 91 of Whitwell passed away Wednesday, November 28, 2018. He was preceded in death by his wife, Emma Lou Davis; sons, Timothy Davis and David Davis; granddaughter, Tasha Davis; great granddaughter, Cassidy Roop; parents, B.T. “Doc” & Maude Davis; sisters, Odell Scott, Josephine Stewart, Mary Ruth Broadway, Doris Davis, Anita Davis; daughter in laws, Onita Davis & Irene Davis. Mr. Davis served in the United States Navy during WWII and was retired from US Pipe. Those left to cherish his memories are three sons, James Michael (Alice) Davis, Marcus Ray Davis, Sam C. (Villa) Davis; seventeen grandchildren, forty great grandchildren; six great-great grandchildren; sister, Edwina Griffith. Family will receive friends 2-8PM, Friday, November 30, 2018. 10AM-8PM, Saturday, December 1, 2018. Funeral services will be at 2PM, Sunday, December 2, 2018 in the funeral home chapel with Rev. Cecil Baxter officiating. Military honors provided by Sequatchie Valley Honor Guard. Interment at Grayson Cemetery.